Group Leaders - D & F Travel, Inc. Thank you for taking the time to look through our suggestions. You have made the right choice when you book group trips with our tour department. Relying on experts saves time - at home and while on tour. Even if you are an experienced traveler, researching and pricing all the elements that go into a trip such as hotels, restaurants, sightseeing and transportation, etc. takes a great deal of the time. Our knowledgeable tour department has many years of experience going to the destinations we offer and we know how to plan itineraries that make the most of your time every day! Interested in becoming a group leader? There are great incentives for becoming a group leader!! Traveling has never been so easy before! Call one of our offices today for more information! What Kind of Trip Can I Plan as a Group Leader? Take a day trip to enjoy this "double decker" in Buffalo, NY. Start out with a guided tour of the Darwin Martin House, a unique residential estate for wealthy Buffalo businessman Darwin D. Martin & his family. Get ready for the breathtaking buildings, surrounding landscapes and extensive collection of glass and furnishings, all designed by Frank Lloyd Wright himself. Spend the day in scenic Wyoming County at Letchworth State Park. Appreciate the historic, restored Glen Iris Inn, located on top of a cliff overlooking Middle Falls & enjoy a belly-fillin' Turkey lunch. After, a step on guide will join you for a drive through the park. Take in all Letchworth has to offer with picturesque views (fall foliage is a great time to visit). Concluding your drive through the park, the group will be able to enjoy some additional time at the Glen Iris Inn for pictures, exploring, etc. before heading home. Start the day with a delicious meal at the famous Spragues Maple Farm, located in Portville, NY. Enjoy a choice of pancakes with bacon or sausage OR the hot turkey sandwich with mashed potatoes and gravy. After lunch, the group will board and depart for Seneca Allegany Casino. Each passenger will receive $25 in slot play and a $5 food credit upon arrival. Proper ID is required to receive bonus. Bonus is offered by the casino and is subject to change without notice. What a better way to get ready for the Easter season than joining D&F Travel for a local Easter tradition. First stop is the Broadway Market - a Buffalo staple. Here you can find such delicacies such as dates from Africa, black olives from Spain, cheeses from Italy, smoked salmon, jellied eels, Kosher concoctions and other fine products. After shopping your heart out, lunch will be served at Chef's Restaurant before stopping at Our Lady of Victory Basilica. Take a guided tour of this architectural wonder - a popular pilgrimage and visitor destination in Lackawanna. Last stop is the Botanical Gardens. Experience the fragrant shrubs and flowers of every kind, set against ombre hues of tulips and daffodils highlighting the majestic conservatory during one of the most beautiful times of year. 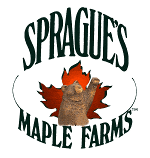 Begin your day with a stop at Sprague's Maple Farm for their delicious pancakes with bacon or sausage OR their famous hot turkey sandwich with mashed potatoes and gravy. Following the meal, board the motorcoach and travel through Olean to find an art display of Squirrels that were fashioned by creative minds to promote the arts in the city and it's local merchants. A list will be provided to help capture the fun! Then, it's off to Cuba for a stop at the Palmer Opera House to see some live entertainment (show tba). After, enjoy a stop at Cuba Cheese Shop to pick up some goodies before heading home! Prime Outlets at Grove City is rated as one of the top 20 outlet centers in the United States. With over 140 brand name outlets, Prime Outlets at Grove City has something for everyone! Each passenger will receive a shopping bag and coupons upon arrival. Be sure to grab lunch during all the shopping! Depart en route to North Tonawanda with the first stop at the North Tonawanda History Museum for a tour. After, head over to Crazy Jake's for a delicious lunch and of course, dessert! Then, enjoy a guided tour of the Herschell Carrousel Factory Museum. Relive childhood memories with a carousel ride before you leave. (Each person receives one free ride token with admission). En route home, stop for a pay on your own ice cream stop! The Iron Kettle is the first stop today for a delicious lunch. Then we’re off to step back in time aboard the last operating steam train excursion in New York State...an authentic operating short line railroad—holding the distinction of being one of the last “common carriers” - running freight and passenger trains weekly. As you enter the historic Arcade & Attica Railroad station, be sure to look around as you are surrounded by the history of railroading in America. The ride lasts approx. 90 minutes. Afterwards, depart for home with a stop at Mayer Brothers Cider Mill to pick up some treats to enjoy. memorabilia from years past and experience the unique exhibits about the war era. Concluding your visit to the museum, we will depart for home. Enjoy a day away with D&F Travel in Niagara County. Start the day with a crunchy treat at a local staple followed by some “adventuring” at one of the most colorful places around WNY. Grab your gift and browse through some shops! Lunch will be served at a secret location while enjoying some farm life and picturesque views. After, enjoy a sweet treat while visiting a local produce stand. Prepare for any weather as you will be outdoors for some of the time, bring a jacket if cool. Comfortable walking shoes are highly recommended. Buckle up and take a ride to Williamsport, PA. 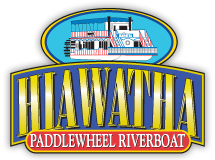 Upon arrival, board the Hiawatha Paddlewheel Riverboat for a luncheon cruise on the beautiful Susquehanna River. Enjoy the breathtaking scenery along the river as you enjoy the ride. Our next stop will be the new Peter Herdic Transportation Museum, an original railroad building in Williamsport’s beautiful historic district in the middle of millionaire’s row. Explore the rich traditions of the Susquehanna Valley from the time of the Susquehannock Indian Tribe to today’s modern transportation systems and how the river has provided the means for Lycoming County’s explosive growth at the turn of the century. From the birch bark canoe to a fully restored GMC 1962 bus, and one of the only two remaining 1949 Pennsylvania Pullman Parlor Cars, it is something to remember! Nestled down in beautiful Ellicotville is Holiday Valley. Today, dress warm for your horse drawn wagon ride. Enjoy a horse drawn wagon ride while taking in the snowy paradise around you. (Hats & gloves are strongly recommended). When you return, be sure to grab a cup of hot chocolate or coffee to take the chill off. Lunch will be served following the sleigh ride—be sure to check out the views of the mountains, lined with skiers and snowboarders. Up next, Tom Bender (or alternate) takes the mic for some live entertainment to get down to before departing. After, enjoy a tasting and tour at Ellicotville Brewing Company before heading home. Lunch will be served at Salvatore Italian Gardens for a delicious meal. After, enjoy a stop at Antoinettes Sweets for a sweet treat—be sure to take some goodies home for later! Last stop will be the Our Lady of Fatima Shrine for their festival of lights. In all, there are over 75 displays to be viewed. The Basilica itself is gorgeously illuminated on the outside; inside warm candlelight glows to reveal a fabulous Nativity Scene behind the main altar. Concluding your self-guided tour, depart for home. Depart this morning on your way to Cooperstown, NY for the National Baseball Hall of Fame. Since opening its doors more than 75 years ago, the National Baseball Hall of Fame and Museum has been dedicated to preserving history, honoring excellence and connecting generations. Enjoy a self guided tour through the museum followed by some free time in Cooperstown. Grab some lunch and see what this quaint town has to offer before heading back home. Take a tour through the Erie Canal Museum in Syracuse today as your docent tells you the haunting stories of past times & those who haunt the 150 year old hallways. Then its off to the Landmark Theatre—a historic theater from the era of “movie palaces” dating back to the 1920s. Learn of the friendly haunted spirits that live there along with the history of the theatre itself. Lunch will be served at Phoebes Restaurant—a local favorite in Syracuse. The “Hollow” is the final stop of the day. Take a hay ride upon arrival, pet the farm animals, have an ice cream cone and don’t forget to grab a small pumpkin before heading home. Travel down to maple country to Spragues Maple Farm this morning for some pancakes or a hot turkey sandwich for lunch. After its off to Eldred, PA to the World War II Museum for a tour. What started out as one room is now three stories tall of memorabilia to commemorate the contribution of 40 million Americans that supported the 16 million fighting soldiers during the epic struggle to defend freedom & democracy against the forces of greed and aggression. Last stop today is the Cuba Cheese Shoppe for a delicious assortment of cheese, condiments & gourmet specialties. Be sure to try a sample before heading home! Lucille Ball’s legacy has been proudly honored right here in Lucy’s hometown of Jamestown by the Lucille Ball Desi Arnaz Museum since 1996. For decades, Lucille Ball and Desi Arnaz played a vital role in television and on the big screen, and we’re fortunate to have the privilege of preserving their memory and their impact on the world through all of the fun costumes and screen-used memorabilia on display, awards they were both given, photographs of both their personal and TV lives, and much more! Enjoy a group lunch while watching a I Love Lucy episode in the Tropicana Room—a replica of Ricky Ricardo’s night club. After some laughter over lunch, head over to the NEW National Comedy Center. This center is the first state of the art museum dedicated to telling the vita story of comedy in America. The museum celebrates comedy’s great minds and unique voices from Charlie Chaplin to Dave Chappelle. Exclusive collections and world-class exhibits give comedy fans an unprecedented behind-the-scenes look at the time-homed creative processes that have elevated entertainment to an art. You’ll leave the museum with a profound appreciation for comedy icons and innovators, as well as the tremendous influence of humor on how we think, live and laugh. Today our motor coach will take us to an Alpaca farm where you can experience life with the Alpaca’s. Each passenger will receive a bar of gift before heading to a Gourmet Canned Good Shop where they have authentic hot gourmet products from around the world. Habanero Pepper products are one of their specialties. Each passenger will receive a special canned good to take home. Next stop is a unique “hole in the wall”, for a delicious home cooked lunch. A Quilt Shop is our following stop. Check out one of a kind gifts along with their full service quilt shop and fabric store. Each passenger will receive a handmade quilted. After, its off to a Creamery & Artisan Market. Check out the assortment of homemade cheeses using high quality milk from the Cardot Farm. Each passenger will receive a gift to take home. A Chocolate Shop is next, each guest will receive a sample of goat milk fudge to take home. A winery is the last stop before heading home today. Each passenger will get a customized bottle with your group name on it! *Please note, this tour is completely changeable and may be customized to add a stop (i.e. Lucille Ball Museum) or remove a stop due to the liking of your group. Depart your center and we head to Vidler’s 5 & 10—the largest variety store in the world! With over 75,000 items spread through 4 buildings on 2 levels, this is a shopping experience you won't find on-line! Historic, nostalgic and just plain fun, you can spend hours here and still won't see everything! After our morning of shopping, we will refuel at the Iron Kettle Restaurant. Here you will enjoy a delicious lunch buffet & salad bar, along with dessert! Once your belly is full, the group will board the bus and head over to the Made in America Store. Every product in the store is 100% American Made! After our visit here, we will head home for the evening. Glass is a versatile, ancient material that is still being explored and understood by artists, scientists and historians today. The story of glass is a story about art, history, culture, technology, science, craft and design. Nearly 50,000 objects representing more than 3,500 years of history are displayed in the galleries; items range from the portrait of an ancient Egyptian pharaoh to contemporary sculpture. Enjoy a day to Corning, NY and view the marvelous works of art the Corning Museum of Glass has to offer. A glass demonstration class is included with your package and will be sent to your group leader once completed. Lunch options are available at museum dining area. Enjoy a day in the Finger Lakes for their annual Wine Festival. A tasters guide is given upon arrival along with a free wine glass to go along with UNLIMITED tastings! With over 90 wineries, and 100 non-wine vendors, this is a fun day for everyone! Live entertainment will be on site along with an arts and craft show. According to the American Bus Association, they named the Finger Lakes Wine Festival one of the top 100 Northern American events for the year of 2019! Don’t forget to grab something to eat from one of the many delicious food vendors before heading home! Kick back and relax on your way to PA for some shopping! First stop of the day is the Grove City Premium Outlets. Enjoy a short stay before departing for Erie—be sure to grab lunch! Next stop is the Millcreek Mall. At Millcreek Mall Complex you’ll find an impressive selection of retail stores, services and restaurants to make your shopping experience a truly exceptional one! After, enjoy a dinner stop at the Golden Corral (or other preferred by group) before heading home! Head to Jamestown today and tour the huge Harley Davidson shop with plenty of photo-ops! After, its off to Chautauqua Lake—but not before a stop to this candy factory—with some of the best goat milk fudge around! The Chautauqua Belle—is one of four remaining steamboats of it’s kind in North America. Sit back and relax, a narrative historical tour of the lake will provide you with a lot of history. While cruising, enjoy a BBQ buffet style meal. Then, learn about the history of concord grape farming and its production from the late 1900’s to today with a wine tasting to top off the day! On the shores of Lake Erie is the city of good neighbors, Buffalo, NY. Its fine neoclassical, beaux arts and art deco architecture speaks to its history as an industrial capital in the early 20th century. Start your day with a guided tour throughout the streets of Buffalo. Learn of Buffalo’s unique history and architectural influence from long ago. After your tour, lunch will be served at Chefs Restaurant! With bellies full, the last stop today is the Pierce Arrow Museum. Listen as your guide highlights the history of the collection, the museum and how pieces were acquired! Many options to choose from! Station Dinner Theatre (Erie, PA), Lucille Ball Little Theatre (Jamestown, NY), Lancaster Opera House (Lancaster, NY), Sheas/710 Theatre/Smith Theatre (Buffalo, NY) and more! We customize any tour for your groups needs! Meals can always be added also! Located in Erie, PA - enjoy a day out to Presque Isle. Horse racing is also done during summer months! Call today for more information! Group usually enjoy a stop to Golden Corral before heading home. Many options available from overnight stays with bonus offer to day trips and customer appreciation packages with bonus offer. Call today to see what is available! Overnights starting as low as $179 per person double! Offers based on group play available! Day trips and overnights are offered to Seneca Niagara and Seneca Allegany Casinos. Buffalo Creek Casino is also an option - a great add on a Buffalo day trip! Call today for pricing! Many show options as well offered to Niagara or Allegany including show ticket, lunch buffet and $20 slot play. Arrive this afternoon at the Radisson Riverfront overlooking the Ohio River. After check in and time to relax enjoy a Dixieland Dinner Cruise this evening. Buffet style dinner is served aboard the boat. On day two, head to the Ark Encounter for the day in Williamstown, KY—featuring a full-size Noah’s Ark, built according to the dimensions given in the Bible. Spanning 510 feet long, 85 feet wide, and 51 feet high, this modern engineering marvel amazes visitors young and old. Be sure to grab some lunch before departing for the hotel. Enjoy some free time near your hotel this evening—we suggest the Main Strasse Village for unique shopping & dining experiences. On day three, enjoy a stop at the Creation Museum before beginning the journey home. Established in 1733, Savannah is the oldest city in Georgia and the location of one of the largest National Historic Landmark districts in the country. Known as the first planned city and cut out in a series of grids that allow for wide open streets intertwined with shady public squares. Stop for an overnight in Statesville, North Carolina with dinner nearby. On day two, arrive in Savannah in time for lunch before checking into your home for the next three nights. Tonight, enjoy a Gospel Riverboat Dinner Cruise. The following day, take a guided trolley tour of Savannah before time on your own. A trolley will be available to transport back to the hotel to freshen up before dinner at Mrs. Wilkes Boarding House. Over the next few days, visit St. Simons, Jekyll & Tybee Islands for touring & a few meals. Arrive in Statesville for an overnight stop before arriving home. Head down to West Chester, PA, home of QVC Studios! West Chester, PA has become a popular destination for thousands of visitors interested in seeing live television at its best. Take a one-of-a-kind guided walking tour of QVC Studio’s. At this state-of-the-art broadcasting facility, guests will see and experience how QVC products are sourced, tested, brought to life on air, and delivered to millions of QVC customers. After, group will have free time nearby. On day two, get ready for the famous Fallingwater; stretching over a 30 foot waterfall! Fallingwater is a house built between 1936 and 1939 over a waterfall in southwest Pennsylvania. Frank Lloyd Wright, America’s most famous architect, designed the house for his clients, the Kaufmann family. It instantly became famous, and today it is a National Historic Landmark. Before heading home, a stop at Country Cupboard is included! Don’t forget to stop in the gift shop! Head to Lancaster, PA for an overnight at Bird In Hand Inn. Upon arrival, check into your hotel for the evening to relax and freshen up for an Amish Dinner Smorgasbord at the Bird In Hand Family Restaurant before the performance of Jesus at the Sight & Sound Theatre. While Jesus’ story may be familiar, his actions are unexpected. He befriends outcasts and heals the hurting. He challenges social norms and confronts hypocrisy. He sets sail with fishermen and reasons with religious scholars. And the lives he touches will never be the same. From the streets of Jerusalem to the raging Seas of Galilee, there’s no place—and no person—that his love can’t reach. Concluding the show, the group will board the motorcoach for departure back to the hotel for the remainder of the evening. Breakfast is served in the morning before departure for an Amish Country tour & shopping at the Kitchen Kettle Village. After, depart for home with food/rest stops en route. After decades of crushing Roman rule, the Hebrew people are losing hope. When will the promised Messiah come? Into the midst of this turmoil, young Mary is told she will bear God’s Son. Angels in heaven proclaim His birth; humble shepherds and regal kings pay Him homage. Clearly this is no ordinary baby! But who is He – really? Is He the Messiah, our Savior? Who can even believe such a thing! Witness the event that is central to the season, brought to life on a panoramic stage with high drama, spectacular special effects and live animals – on stage and in the aisles. Overnight accommodations, dinner & breakfast to be included at the Bird In Hand Family Inn. A brand new original stage production is coming to Lancaster! Set in the opulent yet perilous Persian Empire, QUEEN ESTHER is a captivating tale of beauty and bravery. Experience one of the most riveting Bible stories as it comes to life with magnificent sets, special effects and live animals! Tickets available January 22, 2019.